I get to do some pretty cool things being a blogger, and most of them are totally random. I’ve tested recipes, sampled peanuts, attended luncheons, and sampled all manner of new apps. Admittedly, I’m not at Supreme Food Blogger status quite yet (yes, that’s a thing, and yes, I made it up) so the products I’m offered are occasionally strange and sometimes not great. Okay… most times not great. So when the folks from the Cooking Planit app approached me, I expected more of the same. 1. Ingredients list: How annoying is it to hand copy your grocery list from a cookbook or website? And I inevitably forget something. Or the recipe calls for a LARGE onion but I wrote down “onion” and I get home and realize I have to go back out because my onion is tiny. 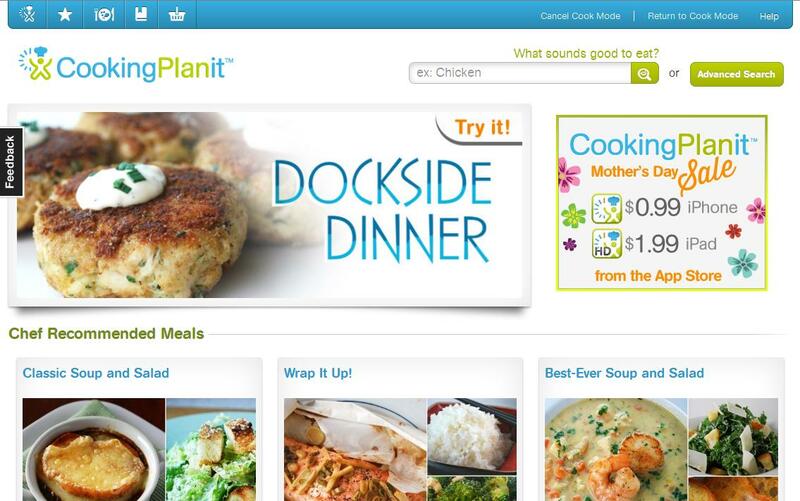 Cooking Planit lets you download a grocery list right to your phone. You’re like YAWN I also need Rice Krispies, shampoo, and Oreos. You can edit the grocery list within the app, too! So smart, right? 2. Voice prompts: This has to be my favorite feature. I think the iPad might be the greatest thing to happen to cooking in the past 10 years, but I’m always super aware of getting it dirty. To remedy this? Cooking Planit devised a way to just say, “NEXT” and you’re on to the next step in the recipe. No swiping necessary. 3. Timing: The app tells you EXACTLY how long everything takes. It’s a pet peeve of mine when a recipe purports to take 30 minutes to cook but a step within the recipe is “cook until liquid is reduced by half.” Um… cookbook writers? This occasionally takes FOREVERRRR. Cut to me serving dinner at 9:46PM. The Cooking Planit app has an actual clock and timer that updates as you go. And if you’re going to fast? They’ll send up an alert to let you know the dish might not come out as planned if you continue to rush through it. In short, this app is awesome. You can test it out for free and buy it for a super low price to gain access to all the recipes (which is ridiculously extensive). Go to CookingPlanit.com for more information. List 11 bloggers who have less than 200 followers (as best as you can tell based on the info provided!). They should be bloggers that you believe deserve some recognition and a little blogging love! Let all of the bloggers know that they’ve been nominated. You cannot nominate the blogger that nominated you. 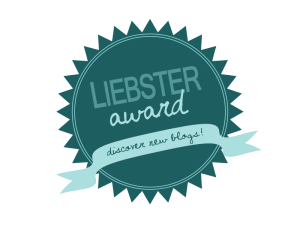 The blogger who nominated me is Holly from Eat Great Be Great! (The first lovely blogger to nominate me was Mama Sonshine but I think I was too busy when I first got the notice to actually write the post and then I forgot… whoops). 1: I’m not a big fan of kids, and really don’t know what to do with them. 2: I have double jointed thumbs and a double jointed shoulder blade. 3: My drink of choice is a gin and tonic. 4: The happiest moment of my life (to date) was when I found out I got into NYU as a transfer student after having been rejected a year and a half earlier. 5: My favorite place in the whole world is Dublin, Ireland. 6: A very close second is the Adirondacks. 7: When I was a kid my older brother and older cousin called me “Stormin’ Lauren” because I cried all. the. time. 8: It’s always been my not-so-secret dream to open a bed and breakfast in the mountains somewhere. 9: Because of the aforementioned dream, I like to read terrible mystery novels about a bed and breakfast owner in Maine who helps solve crimes like “Dead and Berried” and “Blueberry Blues.” There are recipes in the back and extensive descriptions of the breakfasts the inn owner makes every day. Please don’t judge me. 10: I graduated from college with a double major in English and Journalism, but I started my freshman year as a musical theater major. I was involved in theater my whole life and my breakout role was the sassy maid Pauline in Spry Middle School’s production of This Old House. 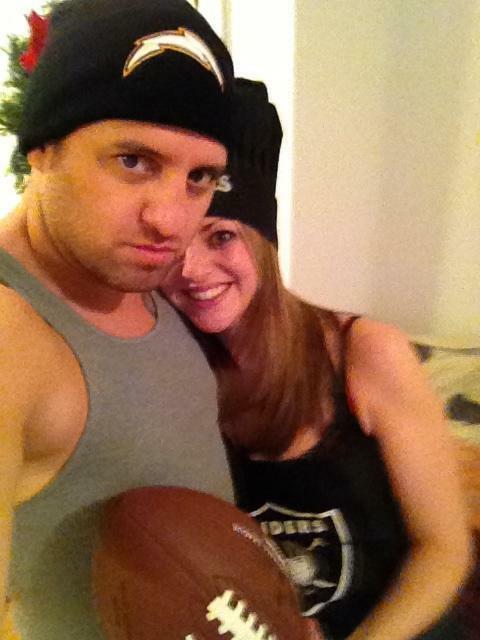 11: I am really goofy and my stand-up-comic boyfriend laughing at me is the best compliment ever. I live in the city but sometimes I really miss sleeping with the windows open and walking barefoot in the grass. Hopefully someday I’ll be a little of both. If you’re stranded on a desert island, what are your 3 MUST have items? My best friend, some booze, and a board game. Because how freakin’ fun does that sound? What’s your favorite destination vacation? Sunday! It’s always felt like family day and it always centers around food (Sunday brunch, Sunday sauce, etc). 1: If you could be any animal, which animal would you be? 3: Do you have any tattoos? 4: What is your death row meal (aka the last meal you’d choose if you were ever on death row)? 5: What would your friends say is your best quality? 6: It’s Friday night at 9PM – where are you? 7: If you had to pick one city to live in for the rest of your life, what city would it be? 8: What one person has shaped your life the most? 9: What is your favorite candy? 10: What is your greatest fear? If you made it all the way to the bottom of this post, congratulations! You have too much time on your hands and/or your day job is boring. Catch you on the flip side, friends. Just a quick Friday post to let you know about a really interesting documentary I stumbled upon on Netflix (FYI: Netflix has TONS and TONS of documentaries about food if you’re interested – and they’re not even paying me to say that). 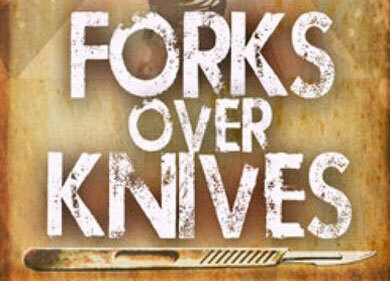 Simply put, Forks Over Knives touts the benefits of a whole food, plant-based diet. It examines how most degenerative diseases can be controlled by eliminating animal-derived and processed foods from our diets (full disclosure: I’m eating a giant black and white cookie as I write this). Brian Wendel, the creator and executive producer, digs deep to uncover Americans’ misconceptions about food, the benefits of cutting out animal products from your diet, and using food as medicine to cure or control degenerative diseases. The research is fascinating, and I have to admit it affected how I did my grocery shopping the following day. I filled my cart with red peppers, cucumbers, and apples to take as snacks to work instead of yogurt like usual. I researched more veggie-heavy recipes instead of relying on pizza for a Friday meal. However… I took the messages in the film with a grain of salt. Maybe cutting out animal products really does prevent you from getting cancer, and there is no doubt that cutting out processed foods will help obese people control their diabetes and heart disease. 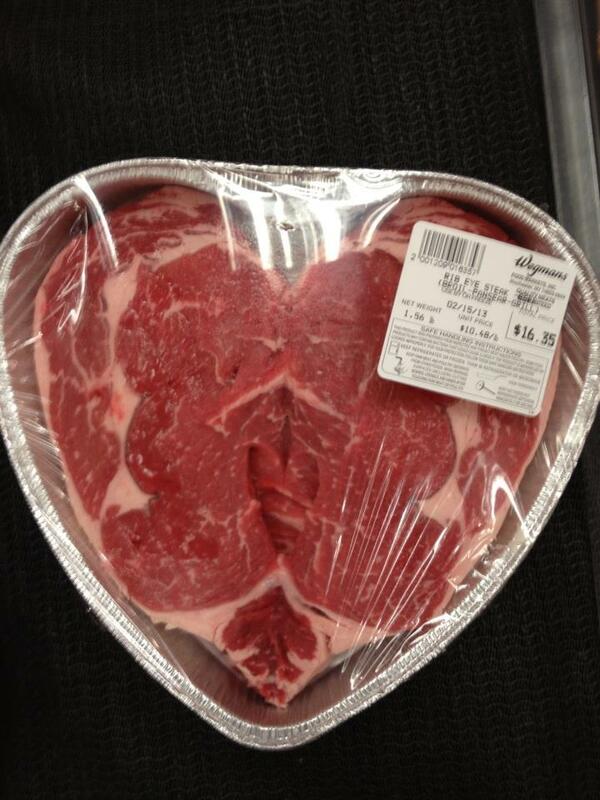 But I think we can all point to an unhealthy vegetarian. Or someone who’s lived to 102, cancer free, but ate steaks and drank big glasses of milk once a week for their entire life. I’ll try to cut down on my unhealthy eating habits, but I’ll never say no to a cheeseburger. Other incredible food documentaries on Netflix include: Vegucated; Jiro Dreams of Sushi; and Food Fight. I have a food gripe and this being my own personal food blog, what better place to air my grievances? I feel like someone just answered, “In your head, you jerk” but I don’t care. Read no further if you don’t like complaints. Let me start by saying that in my day job, I work in marketing and I’ve worked in the field for six years now at a bevy of companies. I know what it means to come up with a campaign and push it so that your products sell. 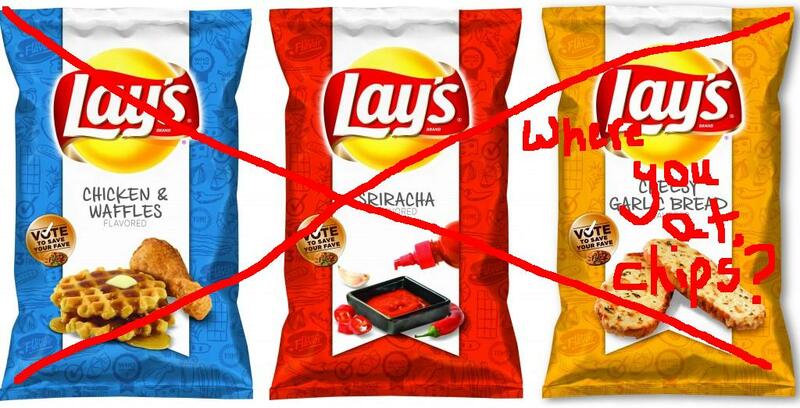 So when Lay’s announced it would be running a contest to name its newest flavor of potato chip, I envisioned a group of marketing executives sitting around a big conference table in an office somewhere throwing around ideas and running with this one. They hired a couple celebs (a chef for legitimacy and an actress for flair), filmed some commercials, and spent God-only-knows-how-much money to promote it. They chose three flavors (Sriracha, chicken and waffles, and cheesy garlic bread) and produced the chips for people to try. They’re now conducting another vote and the winning flavor will be added to their regular lineup of chips. So who of you out there has tasted these chips? Because I cannot find them EHHH-NEEEE-WHERRRE. Not only can I not find them anywhere in New York City (Hey Lay’s, not sure if you know this, but there are a LOT of people who like food in this city) but my mom can’t find them in Rochester and according to the Lay’s Facebook page, people can’t find them in New Hampshire, South Carolina, Florida, Georgia, or Kansas. From the people who have tasted them (every high profile food writer on the internet, apparently) the chips are “meh.” They taste kind of fake, the flavors are weird, and no one wants to eat a whole bag. But gosh, wouldn’t it be nice if we laymen (no pun intended) could try them out for ourselves? Guys, I’m annoyed. I just wanted to try those terrible chips and write about them. I wanted to crumble them up and coat some chicken cutlets with them. I wanted to compare the Sriracha flavored Lay’s with some homemade potato chips I made with real Sriracha. But now I can’t. And I’m kinda ticked. If you happen to stumble upon this elusive snack, please let me know. I want to hear what you think about it. Meanwhile I’ll be at home eating Cape Cod. They just came out with a flavor called “Feta and Rosemary” and that sounds just fine to me. Happy (early) St. Patrick’s Day to you! 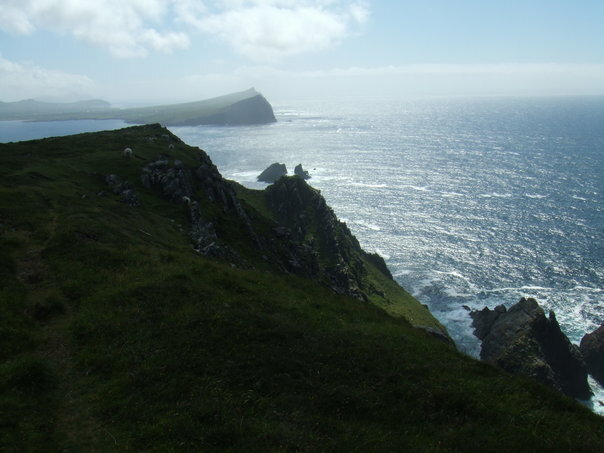 Ireland is my most favorite place in the world, but St. Patrick’s Day is far from my favorite holiday. In New York City, we’re invaded by tourists and everyone drinks to excess and it’s just not pretty. So if you’re like me, and will be holing up in your apartment this Sunday with a nice Smithwick’s and a slice of brown bread with Kerrygold butter whilst listening to The Pogues, here are a few recipes you might make while you’re at it. The BF and I celebrated early (as per usual) to avoid the annoying crowds and overpriced pre-fixe meals at every restaurant from here to Timbuktu. So tonight we’ll be enjoying takeout lobster rolls and perhaps a romantic movie (or Goodfellas, ’cause that’s how we roll), but really I’ll be dreaming of this. Oh, Wegmans. Only you. Thanks to Marianne for the photo!